JAMESTOWN, N.C. — Guilford Technical Community College science faculty and students will host an open house in Science Hall on GTCC’s Jamestown Campus at 6 p.m. Friday, April 20. 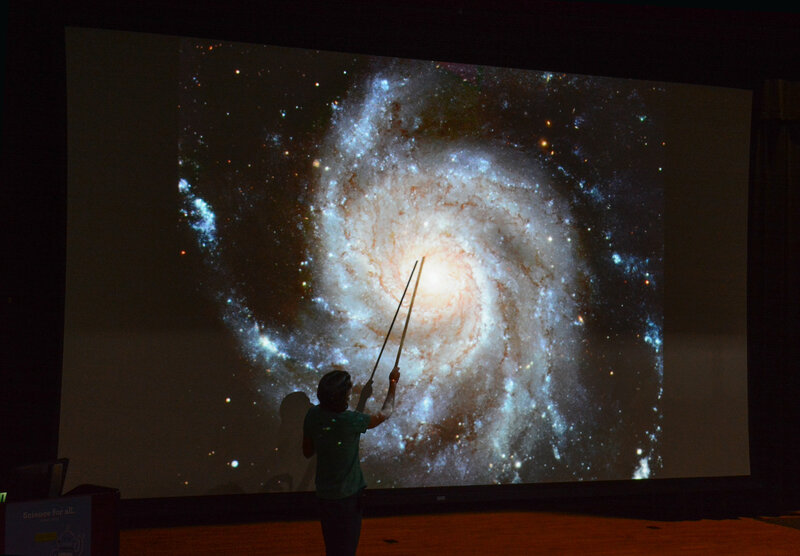 The free event will feature interactive demonstrations in chemistry, physics, geology, biology and astronomy. Cline Observatory will also be open afterward for viewing, weather permitting. Anyone interested in science or pursuing a career in science is encouraged to attend. GTCC’s Science Open House is an official 2018 North Carolina Science Festival event. It is among hundreds of community events being held across the state to highlight science, technology, engineering and math (STEM) activities. The North Carolina Science Festival celebrates the economic, educational and cultural impact of science in the state. GTCC has been a proud participant of the annual celebration since its inaugural year. 3-D printer demonstrations; interactive demonstrations of static electricity and other physics phenomena. Anatomy and physiology activities include electrocardiograms, lung volume determinations and dissections. Molecular biology activities will include DNA gel electrophoresis. Chemistry magic show presentation with opportunities for hands-on activities. Interactive demonstrations of geologic processes and landscape change. Solar observing and activities related to the theme, “Are We Alone?” Cline Observatory will be open for nighttime viewing beginning at 8:30 p.m. as part of the North Carolina Science Festival’s Statewide Star Party (weather permitting). For more information contact Tom English, Cline Observatory, at trenglish@gtcc.edu or 336-334-4822 x50023. Friday, April 20 at 6 p.m. to 8:30 p.m.